King Dedede and Nintendo collaborate to create a popular handheld console. You must not have set up the system (i.e., brand-new system out of the box or fresh from a factory reset). You must have a 3DS (not DSi or DS) game card inserted. Some games may not take to this mode nicely; for example, Super Mario 3D Land will crash if you attempt to create a new save file. Additionally, pressing the Home button will simply shut off the console, since there is no Home Menu for the system to return to. This mode could have been used for kiosk demos that have the Home Button disabled, or for Nintendo's repair centers to be able to boot into a diagnostics card if the system can't boot into the setup for whatever reason. Trying to play a New Nintendo 3DS game (such as Xenoblade Chronicles 3D) on a normal 3DS using this feature will freeze the system at a black screen. If the system is closed (or a magnet is held over the sensor), holding down Start, Select, and X and pressing the power button will make the system boot a DS cartridge directly before trying to boot from the NAND. Old 3DS models (3DS, 3DS XL, and 2DS) won't boot while "closed" unless this combination is held. With a modified DS flashcart, this combination can be used to unbrick a system and/or install custom firmware on it, as seen in this video. There's a minimum FW this works on, somewhere in-between 4.5 and 10.1. If L + R + B + Down is held down during startup, a confirmation message will appear asking if you want to delete the HOME Menu management information. If you have custom firmware installed on your 3ds unit, this menu crashes. This text is located in the fcram (Fast Cycle RAM), however, it is presumed these are leftover debugging symbols. Words of interest include "XBox 360", "Windows Mobile", "Playstation", and a few others mentioned there, as the 3DS has nothing to do with any of this (besides Xbox 360 and PlayStation, both of which are owned by rivaling companies). These are located in the System Settings' ExeFS (Executable Filesystem). 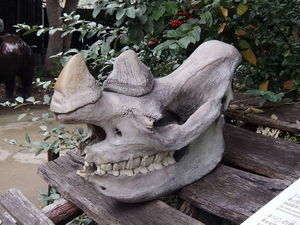 Present in the debug_mpo_ folder is a 3D picture of a rhinoceros skull, named resizable.mpo. Interestingly enough, this picture was taken on thursday, August 12, 2010, 7 months before the release of the 3ds handheld. One other interesting thing about this photo is that it appears to be taken in 4:3 aspect ratio. The Nintendo Network debuted with the Nintendo Wii U, and contained a system to link the shop, online gaming, and their idea of a social media site (aka Miiverse, see its own section below). It came to the 3DS in System Menu 7.0, and introduced a variety of features to compliment the Wii U version, including a shared eShop wallet between the two systems, as well as shared Miiverse postings and notifications. Two dummy Mii images, in different resolutions. An image with two crudely-drawn stick figures, with a "temporary" Kanji stamped in the corner. Miiverse was introduced alongside the Nintendo Network on the 3DS, which allowed users to post screenshots and discuss games they were playing alongside Wii U users. However, rather than making a semi-dedicated app like the Wii U had (which actually worked rather well), they just modified a web browser and made Miiverse out of a bunch of HTML pages, making it painfully slow in the process. Way to drop the ball, Nintendo! That being said, the only 3DS title to use a semi-dedicated Miiverse app is Super Smash Bros. 3DS, which is used to post screenshots to Miiverse on the "old" 3DS/2DS. Contrary to what the update data says on the eshop, the Update Data for the game does not contain the Miiverse Posting app in of itself; rather, it's outsourced to a separate process (called "Post To Miiverse" on the 3DS Activity Log). Not sure if this is really needed, I should look into this. 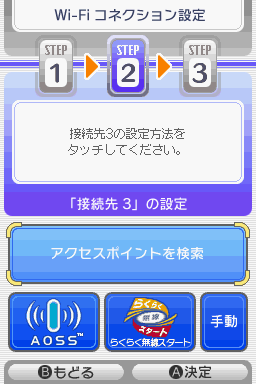 This code is repeated several times through each of the various HTML pages for each language the 3DS can display. They're markers to denote what content is displaying where, so it can be referenced to quickly if something needs to be repaired or added. Within the CSS files for Miiverse, a lot of the graphics that are already stored as PNGs are also encoded in base64 within the .css files. Check whether the "Hate Speech", "Mild Hate Speech", and "No Descriptors" content types are used in any games featured on the eShop. The Virtual Console application is merely a shell for any game that is contained within it. They support a variety of systems right out of the box, simply requiring a swap of the game binary contained within the RomFS (as well as a bit of editing, depending on the game format) to run a different system. Supported binaries are NES, Game Boy, Game Boy Color, and Game Boy Advance. However, the Game Boy Color Virtual Console emulator can run Game Boy Advance, NES, and FDS games, although the NES Virtual Console emulator can only run other NES games. While there are 10 Game Boy Advance Virtual Console games that do run at full speed (only available for 3DS Ambassadors), they rely on hardware backward-compatibility via rebooting into a separate firmware called AGB_FIRM; thus they lack certain features including sleep support and save states. However, there is also a software-based emulator built into the Game Boy Color Virtual Console container. It does work to a degree, but it is incredibly slow and unstable; however, it has full support for the main functions that other Virtual Console games have, such as save states and resuming where you left off, both of which are used for Game Boy Advance Virtual Console on the Wii U. It's likely Nintendo tried to do proper Game Boy Advance emulation on the 3DS, rather than rely on hardware backwards-compatibility. While only compatible with the NES Virtual Console container, if multiple NES binaries are placed within the /rom/ directory of the Virtual Console RomFS and modified appropriately to run, when you start the application, you'll be presented with a menu in which you can explore the Virtual Console's RomFS contents and boot a different game, although to change the game you're playing does require you close and restart the application. On March 1st, 2016, Nintendo announced and released Super Nintendo Virtual Console games to New Nintendo 3DS users. Hidden within the game's emulator binary is a list of games, some of which were released, some were announced, and others none of the two. Green backgrounds are for the released games and orange backgrounds are for the announced games. The text is stored in the .code of the ExeFS in Shift-JIS. Screenshots. Lots of screenshots. Screenshots for the banners in each of the regions. Early on in the system's life, there were promotional videos released just after the system's launch, being incorporated into system menu version 1.1.0-10 for users that updated. However, there were only three videos ever released: one for Japan featuring an orchestral rendition of the main Super Mario Bros. theme, one for the US featuring a 3D music video of OK Go's White Knuckles, and one for Europe which featured various nature scenes and skydivers. These videos were removed when system menu 2.0.0-2 was released, although they recently decided to bring it back from the dead: the European music video was included with the stock firmware built into all New 3DS consoles sold in that region, although this doesn't seem to be the case for Japan. The US video can still be found on Nintendo Video, an application used for viewing videos. All of these videos have respective banners for their regions; however, because these applications are installed in the system memory, you cannot play them on another region's system, even though there are banners for other languages within the application. However, since Nintendo Video shut down, the video is no longer playable there. You can download and play the US video on the Nintendo eShop, though. Besides the obvious region lock that each system implements, there are a few differences between each region. 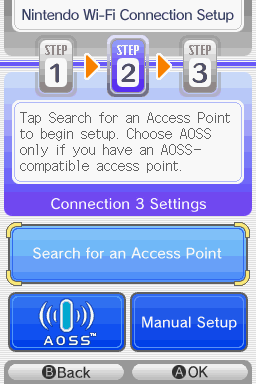 Just like the Nintendo DS, there is a Japan-only Simple Start mode that is accessible within the Nintendo DS Connections settings. By offsetting the touchscreen calibration, you can access the Simple Start mode outside of Japan by touching an invisible button in the top-left corner of the screen. Only the Japanese eShop has different options from what the rest of the world has for payment options. The Japanese eShop has options to pay using NFC-capable payment methods (such as Apple Pay, NFC-capable Android devices, and various tap-capable debit/credit cards for N3DS users), as well as other Japan-exclusive options for payment. The Japanese New 3DS browser also has a filter that blocks certain websites which can be removed by a ¥30 microtransaction. This is absent in all other regional models. Add a description for the New 2DS XL model. The 3DS XL is a step up from the original 3DS model, boasting larger screens, and bumpers to keep the Top Screen from resting on the rest of the system, as well as a slight rearrangement of some parts of the system, like the notification light, the location of the stylus to resemble that of older DS models, and lack of a 3D slider light. This model was released the same day as Pokémon X and Y in most parts of the world, except for Korea, which got it about two months later. Additionally, on December 24, 2015, it was announced that the Nintendo 2DS would be released in Japan as bundles along with the Virtual Console re-releases of Pokemon Red, Blue, Green, and Yellow on February 27, 2016. It sold for a discounted price due to the lack of 3D hardware in the system, but was oriented towards those that didn't want the 3D. However, it came at a price: the system uses a single mono speaker, Sleep Mode is toggled with a switch because the hardware cannot fold to close, and Power Saving mode is not present. Other than that, the 2DS' hardware is fairly similar to that of the 3DS/XL. It can play all regular 3DS games, but is simply not able to display the 3D that 3DS models do. Interestingly enough, the two screens on the 2DS are actually two sections of a single larger screen. This model of 3DS boasts a large boost from its predecessors. It includes more RAM, NFC support, a slot for MicroSD cards instead of standard SD cards, ZL and ZR buttons, and a second analog nub beside the ABXY buttons, eliminating the need for the Circle Pad Pro. It also has some software improvements, such as the ability to play video files directly in the built-in browser. The New Nintendo 3DS has support for interchangeable cover plates, allowing users a degree of customization. It also contains some additional system titles, such as an SD Manager, built into the system (although with some clever hacking, you can get this application to work on older 2/3DS models). This model is exactly the same as the New Nintendo 3DS, but lacks the ability to change the faceplates; however, just like every other Nintendo XL system, it has larger screens. In a business move by Nintendo of America, only this version of the New Nintendo 3DS line was available in North America for nearly eight months, as the XL outsold the regular-sized one by a margin of three to one. Certain units come with IPS screens, while others come with TN screens; however, Nintendo does not distinguish between them. The UNITINFO, which dictates whether the current 3DS is to be used in a development or retail environment, contains a single bit that is normally set on a retail console, with no way to change it. 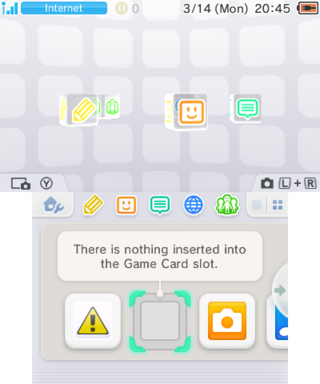 However, if this bit is cleared or is simply not set, debugging information can be printed to the screen through the 3DS' own ErrDisp (Error Display) function whenever games run into issues while in operation. Some other changes will be made to how the system behaves as well. The system will switch its CIA encryption to only accept files with a certain kind of encryption, meaning only SDK apps can be installed; any others will fail. The Nintendo eShop will also give an error upon using, and amiibo functions will be disabled. 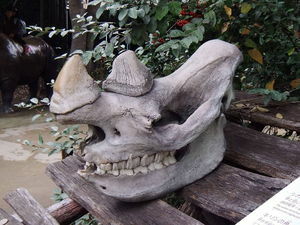 This page was last modified on 12 April 2019, at 01:02.